How Has Iron Man Changed In Avengers: Infinity War? Has Tony Stark finally lost his sense of humor? Perhaps a little. But who can blame the guy after the events that happen in last year's Captain America: Civil War? Robert Downey Jr. will next reprise his role as Iron Man in Avengers: Infinity War. He's currently on set, shooting his part in this character heavy adventure. And in a recent Facebook post, the actor confirmed that we'll be getting a more mature Tony Stark this time around. Robert Downey Jr. is known as the face of Marvel Studios. He helped Disney launch their lucrative franchise based on the many comic books nearly a decade ago when the very first Iron Man hit theaters back in 2008. And he has stayed with the ongoing Phases of this sprawling universe throughout it all. So far, he's appeared in three Iron Man movies, two Avengers movies, one Captain America movie, one Hulk movie, and he will next be seen in this summer's Spider-man: Homecoming. All this before he returns as a key player in Avengers: Infinity War. Yesterday, Marvel released a sneak peek at Infinity War which saw Robert Downey Jr. on set with Spider-Man Tom Holland and Star-Lord Chris Pratt. Now, he is speaking out about how Tony Stark has changed from 2008 to 2018. The guy has quite literally lived a decade as one of the coolest superheroes in one of the world's most epic superhero team line-ups. The character has been a long-lasting one. And one of the key elements has always been his sense of humor. While we're sure it hasn't been completely dampened, it sounds like he'll be less inclined to throw out zippy one-liners as he's been known too in the past. Robert Downey Jr. participated in a video Q&A that accompanied the sneak peak that showed up last night. And he was asked by a fan what has changed about Tony Stark. The actor gives us this answer. "Well, I guess he's matured a little bit. I think what's changed is the universe around him honestly, if you think about it, right? There's so many offshoots now. Peter Parker's in the mix. The Guardians are on fire." Tony Stark's overall role in Avengers: Infinity War has not yet been revealed. Though we know he will be going toe-to-big purple toe with Thanos at some point in a fight over the Infinity Gauntlet. he is now acting as mentor for Peter Parker, a relationship of which we will see more of when Homecoming hits theaters this July. 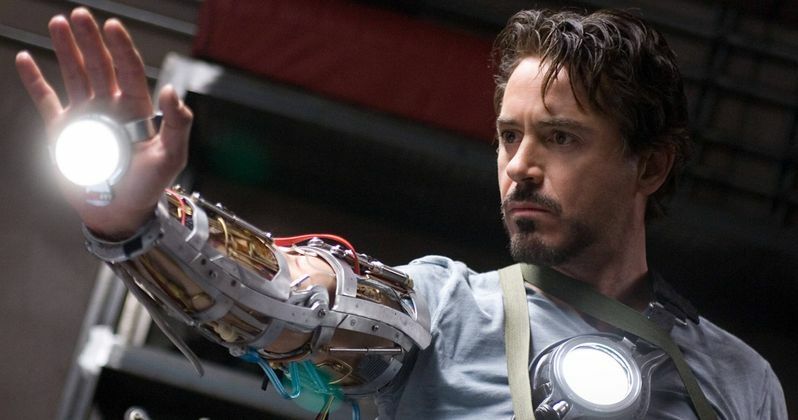 Stark has had one of the widest ranging character arcs in the MCU, and he has grown by leaps and bounds. Some speculate that he will die at the hands of Thanos, and that a different character will become Iron Man in Phase 4. That has never been confirmed, but we do know that Robert Downey Jr. is set to appear in both Avengers 3 and 4, so if his death does come, it won't be for a little while yet. We can still enjoy videos like these for a little longer.